Is philanthropy ignoring the real money? For the past five years, Coutts has published the Million Pound Donors Report, an annual study that captures the scale and nature of philanthropy by major donors in the UK. Over the years, the report has documented and inspired major philanthropy in the UK. 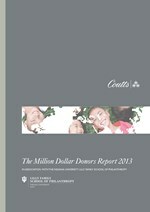 This year, Coutts went a step further and published the first international Million Dollar Donors Report. The new report studies donations of $1 million or more across six regions: the UK, the US, Russia, Middle East (GCC), China and Hong Kong. Working with the Indiana University Lilly Family School of Philanthropy and researchers located in all regions, Coutts captured information about 1,955 donations of $1 million or more, totalling $19 billion. 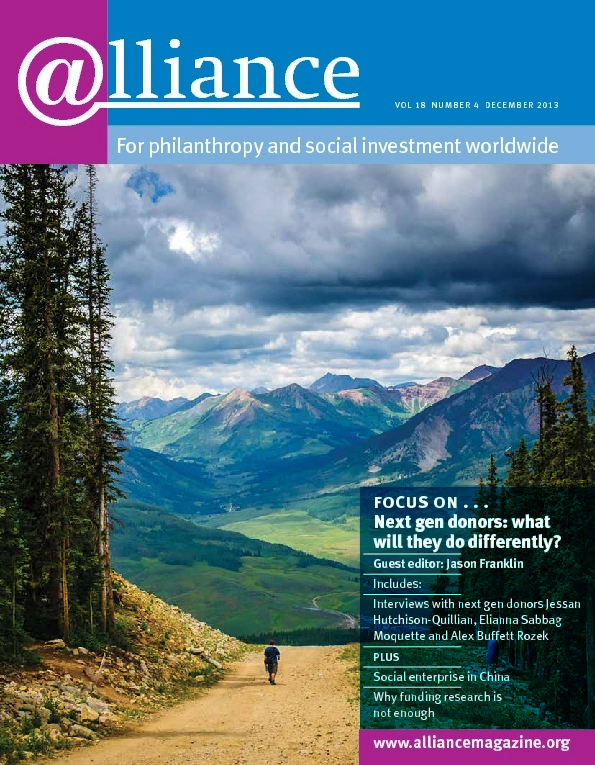 The data is analysed by region and complemented by observations about key trends in major donor philanthropy, including the growing professionalization of the field, how donors do more than just write cheques, the growth of social investment, and the key role philanthropy plays in wealth succession. The report also includes a series of inspiring and open interviews with major philanthropists, illustrating their motivations for philanthropy and the causes they support. It also includes interviews with a number of NGOs in receipt of donations of $1 million or more.